Textile House: April is here with the promise of new beginings. This time of year is such a treat. The grass is turning green and flowers are blooming and after next weekend, we will be NASCAR race-free for a good 6 months. YEAH!! We decided to remove the tree that would not grow in our front yard and replace it with a Maple tree so last weekend while I worked on my first project of the month we had quite a few hands uprooting our garden to get some color in the flower bed. They are new blooms but they promise to grow into something... colorful! 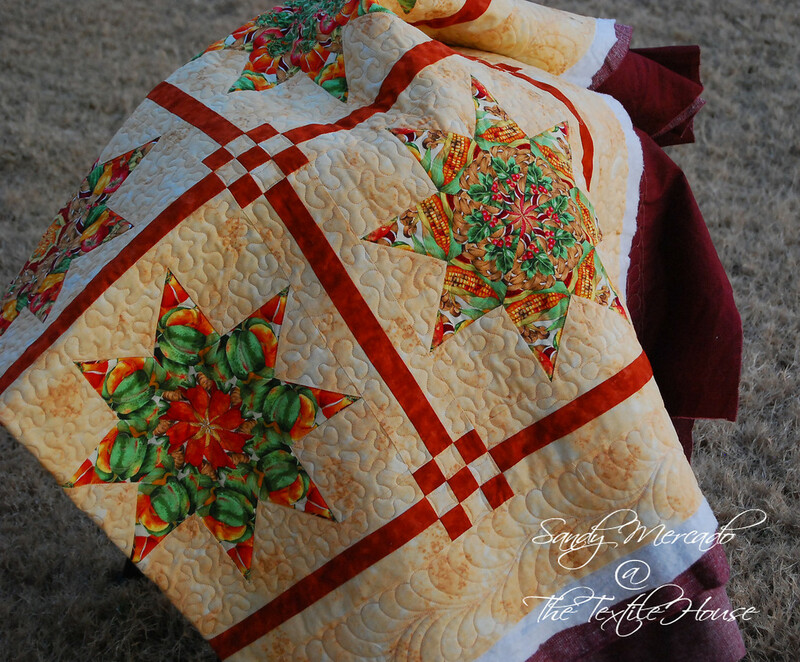 First: Catchup with ps i quilt's Pinwheel quilt along (see link on sidebar). 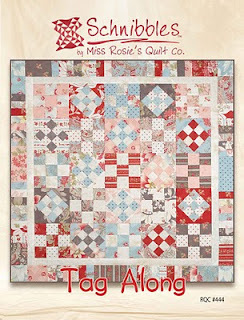 I'm making this using Moda's Garden Party by Blackbird Designs. 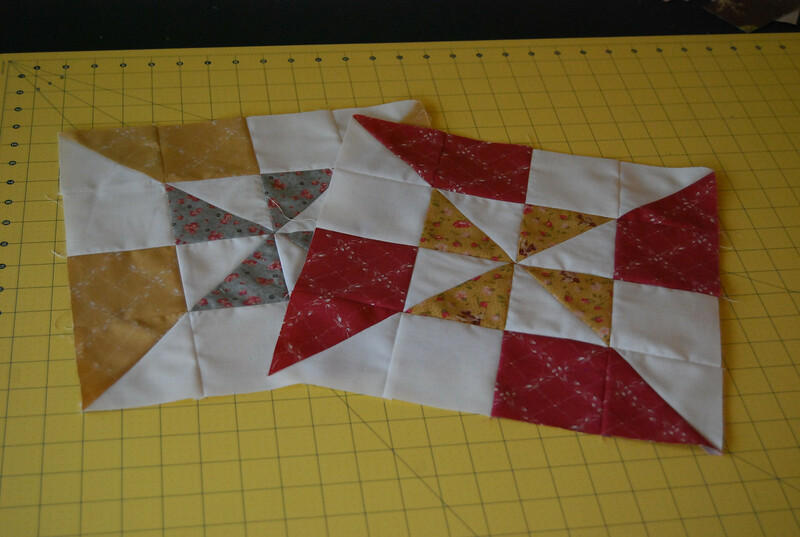 I got the first block made last month but I'm a bit behind since Rachel is on block #6. 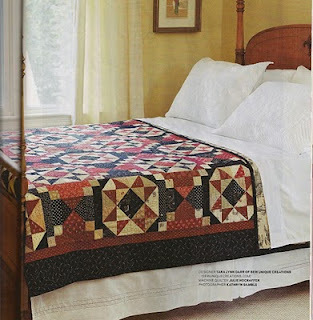 Second: Cut and start piecing Two Piece Puzzle by Tara Lynn Darr. This one appeared in American Patchwork and Quilting's February issue and as soon as I saw it.. I fell in love. I have been enhancing my stash for this one and now that I have what I need, I'm ready to get going. I would love to finish it this month but I'll be happy to make a good dent on it. 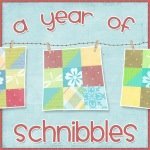 Third: Make this month's Schnibble. That would be Tag along. I was not sure if I wanted to tackle this one but the pattern sort of fell in my lap and I decided I should not skip two months in a row. While we are on the topic.. Did you hear that Miss Carrie has a new book coming out? This one is out next week and I've already pre-ordered my copy. I can't wait for it to arrive! Last but not least: I need to bind The Bounty. This one is headed off to a special home next month so no more procrastinating!! I NEED to finish this one. Keeping it simple this month and hoping I can meet all my goals. 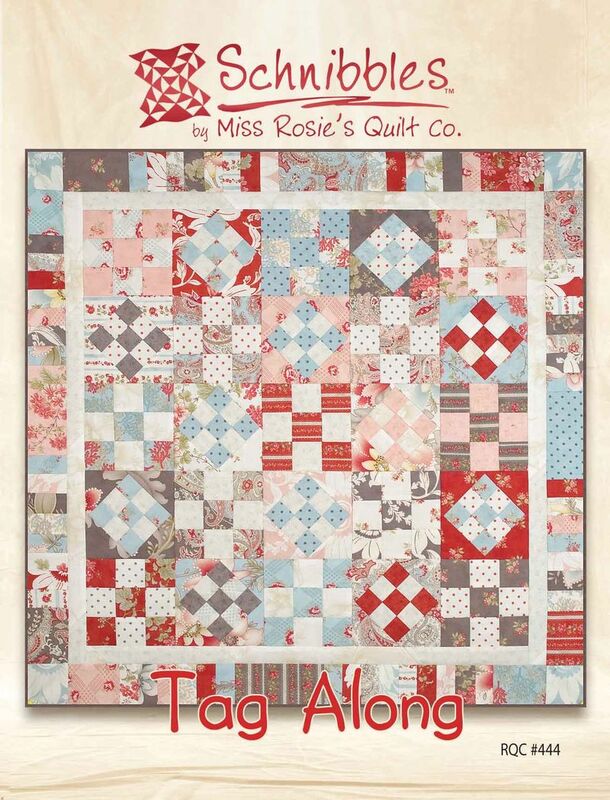 Have a great quilty month!!! 5 comments on "April is here with the promise of new beginings." "Keep it simple", she says. 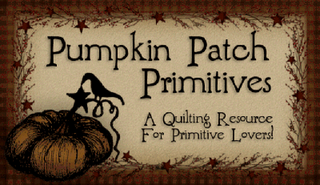 I say that is a lot like how I analyze simple when it comes to quilting! 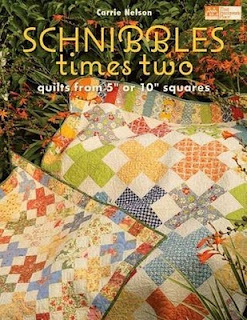 I can't wait to see your quilt come to life and your garden bloom. Don't forget the Miracle Grow; those geraniums will knock your socks off if you fertilize them! But don't let Nyshma do it, she is a heavy handed fertilizer chick...LOL! Beautiful projects! Can't wait to see the finishes. Great projects - you always have such pretty patterns and fabric. Wishing you a happy month of sewing!